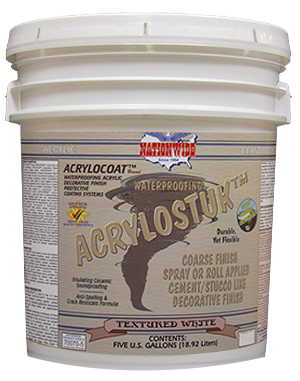 Acrylic, Decorative Wall Coating System | Nationwide Coatings Inc.
ACRYLOCOAT™ is an AMAZING PRODUCT. It is a spray or roll applied, exterior or interior decorative wall coating. ACRYLOCOAT™ systems have been developed to give an attractive designer texture look. 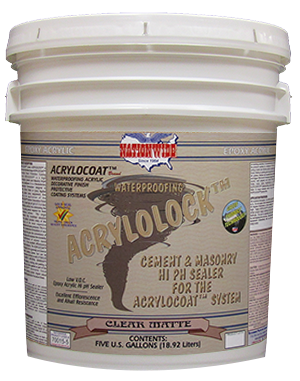 ACRYLOCOAT™ is an ACRYLIC waterproofing formulation that features ELASTOMERIC qualities that ensure durable, long lasting performance. 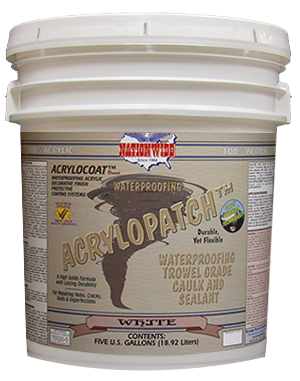 ACRYLOCOAT™ is a ready-to-use, pre-mixed product that can be "direct applied" to numerous different substrates to provide a beautiful decorative waterproofing finish. Many types of designs and finishes can be achieved through various application methods. ACRYLOCOAT™ can be used on plywood, clapboard, weathered wood, t111 siding, structural insulated panels (sips), oriented strand board(o.s.b. ), insulated concrete forms (icfs), primed metal, galvanized metal, copper, aluminum, tin, styrofoam, polystyrene, fiberglass, clay, adobe, stucco, concrete, concrete block, exterior gypsum board, densglass and various other substrates. ACRYLOCOAT™ has a 15 Year Manufacturer's Limited Material Warranty, when properly applied, against chipping, cracking and peeling from the surface to which it is applied. Project design professionals are responsible for ensuring that our products are suitable for the proposed project. For assistance in preparing your specification, contact your ACRYLOCOAT™ Dealer or Nationwide Protective Coating Manufacturers, Inc.
100% Acrylic Clear Sealer for Preserving, Protecting & Waterproofing Most Coated/Uncoated Wall Surfaces and Acrylocoat™ Coatings. Elastomeric Waterproofing Insulating Ceramic Satin Finish 20 Year Warranty Wall Coating Acrylocoat™ Finish Coat. Commercial Grade. 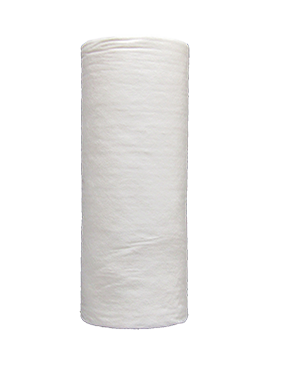 Spunbonded Polyester Waterproofing Fabric Tape for Sealing Seams in Wood Panels, Sips, Gypsum Board, Densglass & More.